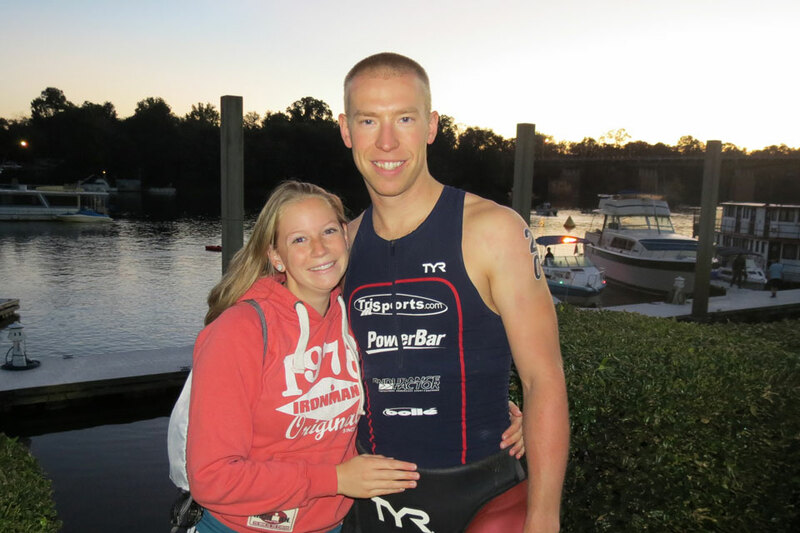 Welcome pro triathlete Steve Rosinski from Charlottesville, VA, to the Luray Triathlon! 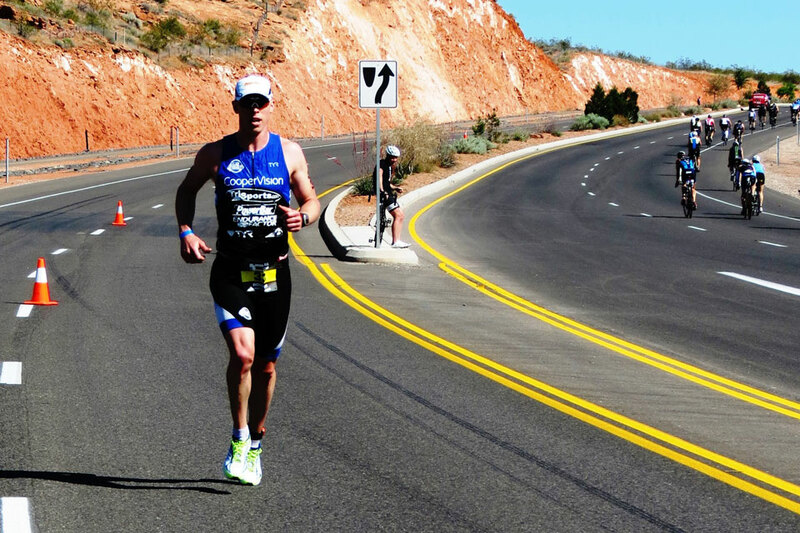 Not only is Steve a pro triathlete, but he’s also a full-time Doctor of Optometry. Wow! 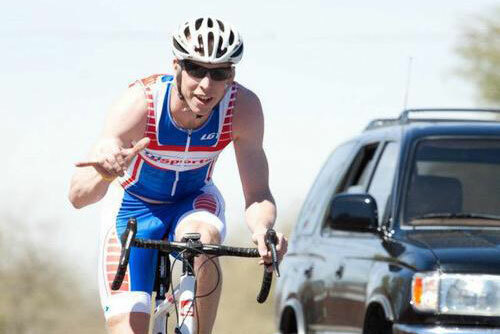 Steve’s triathlon career began while at Ohio State where he finished 8th in the 2010 Collegiate National Championships. Upon graduating in 2011 with his Doctorate, Steve made the decision to dedicate himself more to his training and racing and in doing so earned his Elite Triathlete license within the year. Originally from Rochester, NY, he and his wife Chelsea, moved to Charlottesville in June 2013. Steve will be on hand to offer open water swim tips to all triathletes during the triathlon practice swim on Saturday, August 16 from 5-6 PM at Lake Arrowhead then you’ll find him in the announcer’s tent after the Sprint. Look for a strong race from Steve and as he competes against a talented field for part of the $5,000 cash prize purse. 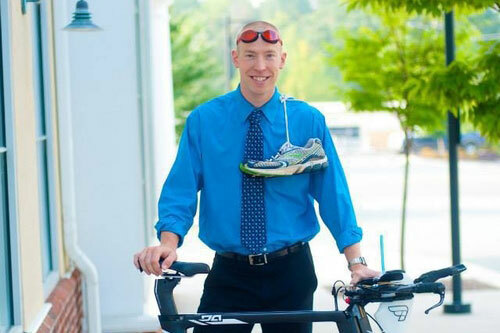 I am a 29 year old Pro Triathlete who is also a full time Doctor of Optometry at Crozet Eye Care in Charlottesville, VA. I am in my 2nd full season as a Pro who mostly competes in half distances and will be doing my first full distance race this fall at Ironman Chattanooga. I enjoy the sport of triathlon as it is a way to test the limits of your body. There are so many amazing athletes out there that I look up to. I see what they are doing and try to emulate what they do. I try to not set limits on what I can accomplish and hopefully one day I will be finishing right with the best in the sport! Q: Do you think that your lifestyle has changed since you did your first triathlon? If so, in what ways? I started out running cross country and track in high school then ran at NCAA Division I Lehigh University. After college I started riding a bike my Uncle gave me and I enjoyed everything about riding. Since I was riding and running I might as well start swimming – so I raced my first triathlon. Since then, besides my wife, family, friends and work, most things revolve around triathlons. I make sure I get the right amount of sleep, eat the right foods and even plan some vacations around races. Fortunately triathlons take you to some amazing places! I am hoping to put together two good races in both the Sprint and Olympic. These will be my only races shorter than a half this year so it will be short, fun and painful at the same time! For those new to the sport…I would say enjoy the ride and make the most of it. Find a group of athletes and start training with them…even if they are faster than you. Training with others makes the miles go by more quickly and the time more fun! Q: What’s next for you after Luray Triathlon? I will be training hard for Ironman Chattanooga the last weekend of September. Good luck, Steve, and see you in a few weeks in Luray!